Spyder Bormio Men’s Ski Pants: For serious skiers looking for pants to dominate the mountain in, the Bormio’s combination of GORE-TEX laminate, stretch fabric and fully-adjustable waist and suspenders will prove to be exactly what the doctor ordered. Want some peace of mind on their backcountry expedition? The Bormio also features a RECCO Avalanche Rescue System to help rescuers find the wearer in case of emergency. Giro Article Goggles: This new-for-2019 goggle features two hot new technologies: The Stash Seal Interchange Lens System and the Adapt Strap. The Stash Seal System lets you change out lenses in a matter of seconds to adjust for the changing conditions, and the Adapt Strap allows them to swap the default strap for any number of Giro’s colorful and unique after-market straps for a style all their own. Smart Wool PHD Ski Light Elite Pattern Ski Socks: Built for the highest level of performance, these aren’t your father’s ski socks. The PHD Ski Light Elite feature two elastics for an optimal stretch, cushioning on the ball and heel of the foot for comfort during impacts and mesh venting for a dry, sweat-free ride. Columbia Deschutes River Flannel Shirt: Need something comfy for lounging after you leave the slopes? The Columbia Deschutes River Flannel is made from an ultra-soft 100% cotton and has a drop-tail hem for extra coverage in the cold. FERA Julia Special Edition Women’s Insulated Jacket: From Julia Mancuso’s personal line, the FERA Julia Special Edition Jacket is the type of gift that they’ll love from the get-go for the look and can’t live without once they wear it out. The jacket’s faux fur trim and glossy sheen is right at home in aspen, and the ample Primaloft Down insulation offers unfettered warmth while up in the mountains. Obermeyer Malta Women’s Ski Pants: You can always count on Obermeyer for on-slope style, and the Malta Pants are no exception to this trend. Waterproof, breathable, insulated and with a clean styling that will look great with any ski outfit, the Malta are a favorite of women looking for sophistication and comfort. The North Face Fair Isle Beanie: A warm head is a happy head, and North Face’s Fair Isle Beanie invites your head into pure cozy bliss. The 100% acrylic hat has a deep fit for extra coverage, and the Nordic styling perfectly embodies the mountain look. Meister Ski Women’s Sweater: Bring back the good ole days with the cute retro look of the Meister Ski Women’s Sweater. Old-school striped style mixes with a contemporary rayon/nylon jersey knit fabric for apres charm and comfort. Dakine Fall Line Roller Bag: Breaking skis are expensive. Take better care of them during travel with the Dakine Fall Line Roller Bag. This fully-padded ski bag offers 360-degrees of protection and can easily and safely lug two pairs of skis through the airport. United By Blue Out-of-Doors Candle: Picture this scene; You’re relaxing after a day on the slopes, candle burning next to as you unwind with a good book. Now imagine waking up in the morning and pouring a hot cup of joe and taking in scenic mountain views in the early morning sunlight. Both of these scenarios are possible with the UBB Out-of-Doors Candle, available in two different scents. Therm-ic Refresher: We all have that one ski buddy whose boots have a stench so strong they could give Pepe Le Pew a run for his money. This USB-chargeable device that uses UV to prevent bacteria and odors from forming will be sure to keep them, and the whole condo, happy. Emory Peak Traverse Snow Shoes with Poles: For the person on your list that loves to get out in the snow anyway and anyhow, the Emory Peak Traverse Snowshoes will give them one more snow-filled activity to fill their winter days with. This package comes with everything the novice snowshoer needs to start hitting the trails, with two aluminum trekking poles and a carry bag for all your gear. Looking for more ideas? 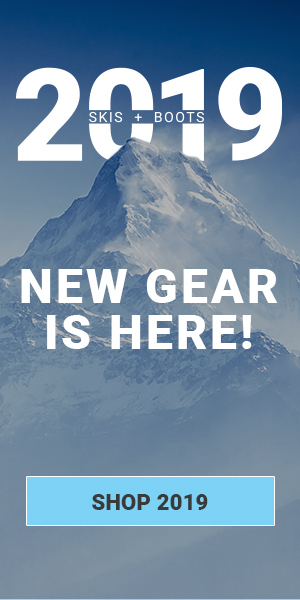 Visit our full 2018 Holiday Gift Guide on Skis.com.